A Supreme Court decision has highlighted the tension that exists in law between an individual’s obligation to provide in their wills for their close family and dependants and their freedom to leave their estate to whomever they choose. Melita Jackson had been estranged from her daughter Heather Ilott for 26 years after the 17-year-old walked out of the family home to set up house with her then boyfriend. Attempts at reconciliation failed and when Jackson died in 2004 she left her estate of £486,000 to a range of charities, including the Blue Cross, the Royal Society for the Protection of Birds and the Royal Society for the Prevention of Cruelty to Animals. She also left a letter of wishes explaining her decision to exclude her daughter. Ilott subsequently exercised her right to claim against her mother’s estate under the Inheritance (Provision for Family and Dependants) Act 1975. This entitles various categories of close relatives, such as spouses, cohabitees and children, to make a claim for “reasonable financial provision” from an estate. The case made its way through the various courts. In 2007, the county court awarded Ilott £50,000, ruling that her mother had acted in an “unreasonable, capricious and harsh” way towards her. The charities appealed against this decision, but in 2011 the Court of Appeal upheld it and sent the case back to the lower courts for a decision to be made as to the amount. In 2015, the Court of Appeal ruled that Ilott should receive £143,000 to enable her to buy the housing association property that she and her husband occupied plus £20,000 in cash. 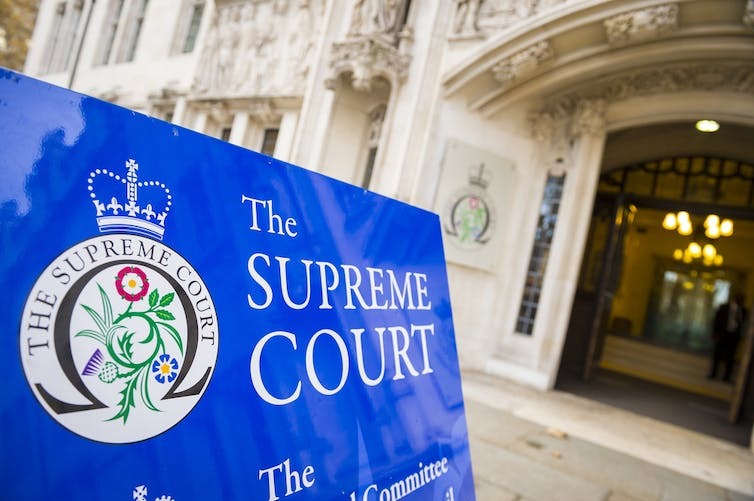 The charities appealed this ruling and the supreme court has now reversed the appeal court’s decision, reducing the amount back to £50,000, noting that the appeal court’s order gave “little if any weight to the quarter of a century of estrangement or to the testator’s very clear wishes”. Ilott’s claim as a child of the deceased was based not just on the fact that her mother’s will had left her nothing, but on her own limited financial means. To bring a successful claim, she first of all needed to show that her mother’s will had not made reasonable financial provision, bearing in mind her daughter’s financial resources and needs. This is where most claims by independent adult children fail – once a child has their own financial independence it becomes very difficult to prove that there is a need for an inheritance from one’s parents. But Ilott lives with her husband and most of her (now adult) children on limited incomes which are supplemented by benefits. It was these circumstances that enabled her to succeed in her claim that her mother’s will did not make reasonable financial provision for her. A crucial feature in this case was the nature of the other beneficiaries under Jackson’s will and her relationship to them. The Inheritance (Provision for Family and Dependants) Act enables the court to use its discretion when determining the size of the award – and the factors to consider include the size of the estate and the financial needs and resources of the other beneficiaries. The supreme court chose to uphold people’s freedom over their last will and testament. In this case, Jackson had made bequests to charities which she had no involvement with during her lifetime. The Court of Appeal’s decision in 2015 described the legacies to these charities as a “windfall” and reducing these was seen as far more acceptable than, for example, lessening the legacy of another child or close relative. But the supreme court based its judgement on the notion of testamentary freedom – and the judgement by Lord Hughes focused on the lengthy estrangement between mother and daughter. Solicitors have long advised clients who wish to exclude relatives from their wills to write a letter of wishes explaining their decision – and it will be reassuring to many to see that the nature of the family relationship was taken into account. Statutory obligations to maintain close family have existed since 1939 and the rationale behind these provisions was that we should not leave our relatives destitute. It was also envisaged that we would be less likely to disinherit our family if we knew that they could claim anyway. However, Baroness Hale’s judgement emphasises the difference between a moral obligation to provide for one’s children and the imposition of fixed inheritance rights for them, commenting that, while there is a recognised duty to maintain one’s spouse and infant children there is no recognised “duty to maintain adult children”. It must be noted that it was not open to the supreme court to award Heather Ilott nothing; that point had been conceded by the charities in 2011. But the decision does reinforce the notion that whatever limits are placed on our testamentary freedom must be limited in size and scope.